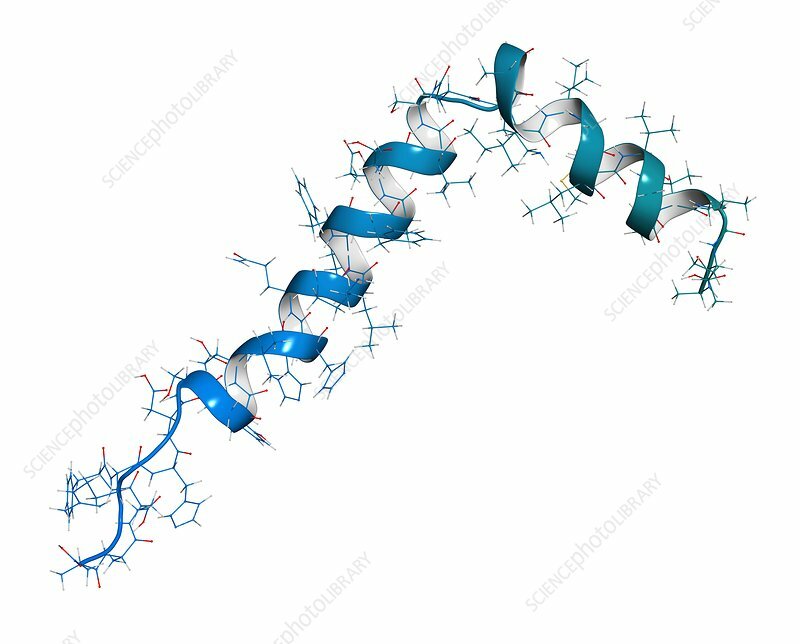 Amyloid beta (Abeta) peptide. Major component of plaques found in Alzheimer's disease. Combined wireframe and cartoon model. Cartoon and carbon atoms: backbone gradient colouring (blue-teal); other atoms: conventional colour coding.